A friend and I had another dinner at Hula’s Island Grill in Monterey last night. We’d gone there last Saturday too and the food was so good we went back! 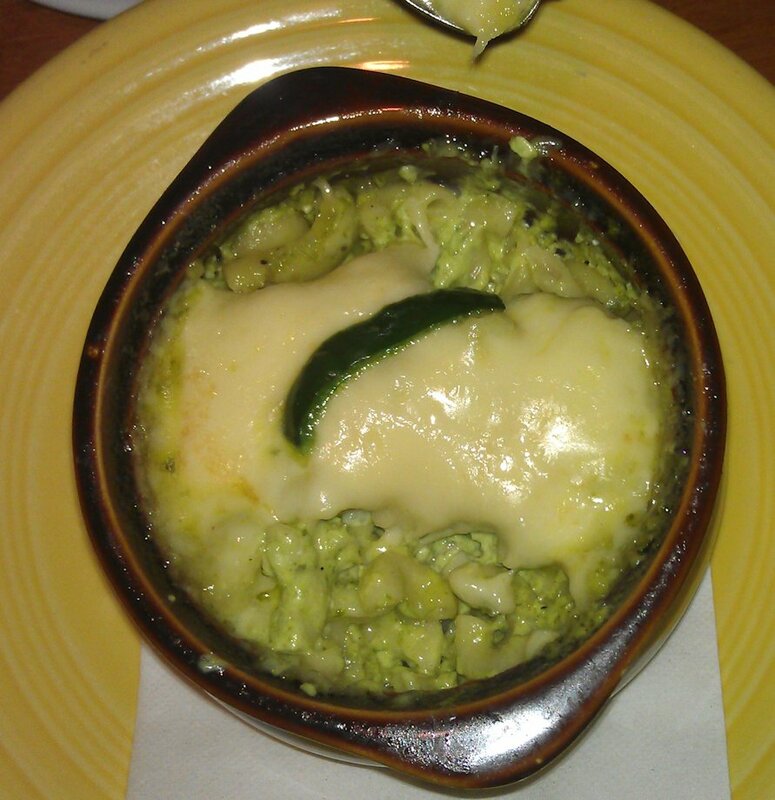 We shared a small bowl of their Poblano mac and cheese, and it was SOOOOO good! I had the Kalbi (Korean style BBQ beef) for my main meal, which was also excellent, but I could’ve eaten that mac and cheese all night! The owner shared with us what was in it when we asked, so here’s how I remember it: Jack, cream, and parmesan cheeses in the mixture, along with mashed up Poblano chili and elbow macaroni of course, topped with Jarlsberg cheese and popped under the griller for the cheese to melt and form a golden crust. It was SOOOOO yummy! And so simple. Yum! I think I gained 10 pounds just reading about the Mac and cheese! I agree and I think I don’t want that recipe!!! Way too dangerous!!!!! LOL!